This look would give you a young vibe and proves to be perfect for teenage or young boys as well and the overall look would come out to be casual and seems to be perfect for any daytime occasion and can also be worn to collages as well. 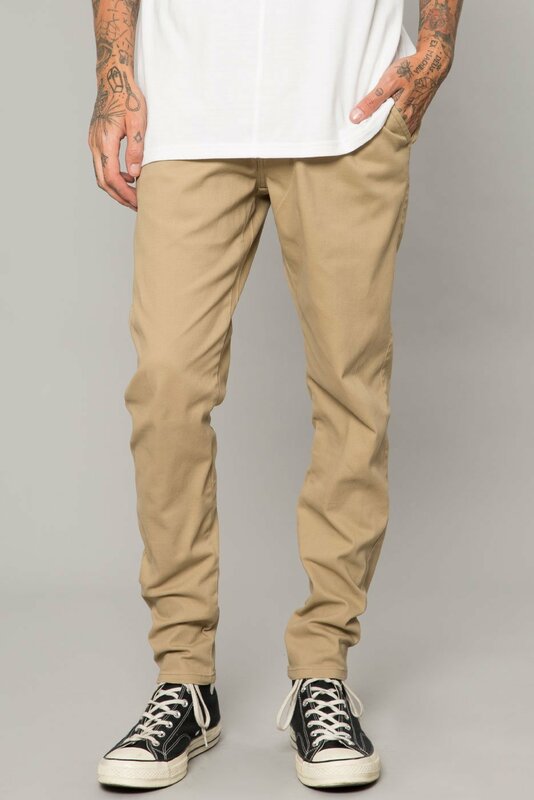 some people are not a very big fan of trousers and this look is perfect for them as here you would just have to get your hands on khaki jeans of probably beige color and pair it with a black loafer with white sole and while you carry this look do not forget to fold your pant up to the ankle length. This is the most preferred look which is idle for those who work in corporate place and they need to be fit as well as well-groomed all the time. here this look can be carried up to anywhere and to any occasion as well and moreover, this proves to be perfect for a party where you don’t want to look too dressed up but being too casual is also not your preference. 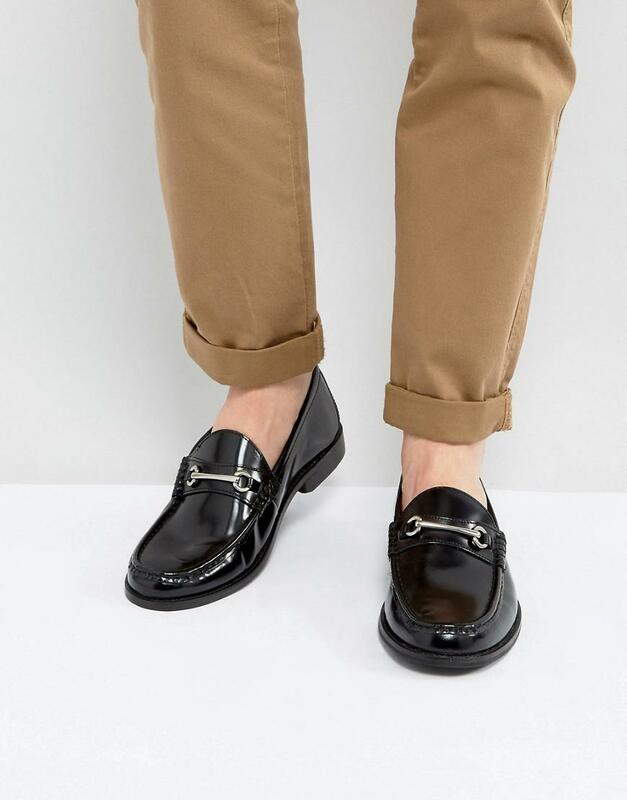 Here you would have to wear a khaki pant with matching coat and pair it with a cotton stretchy round neck shirt of maroon or red color and complete the look with a black shoe and do not forget to get the shoe polished while you wear them. If you are dressing up for an office meeting or if you are about to attend an office party then this combination would prove to be best for you and this looks good on men of almost every age. Here you would have to get a tan beige khaki trouser pant and have a same colored coat and a black tie and white shirt would complete the look and pair everything up with a black formal boat and you are good to go. This is a formal look for those occasions where you need to be well presented and if you are someone who does not like to carry coat all the time then this combination would prove to be best for you. 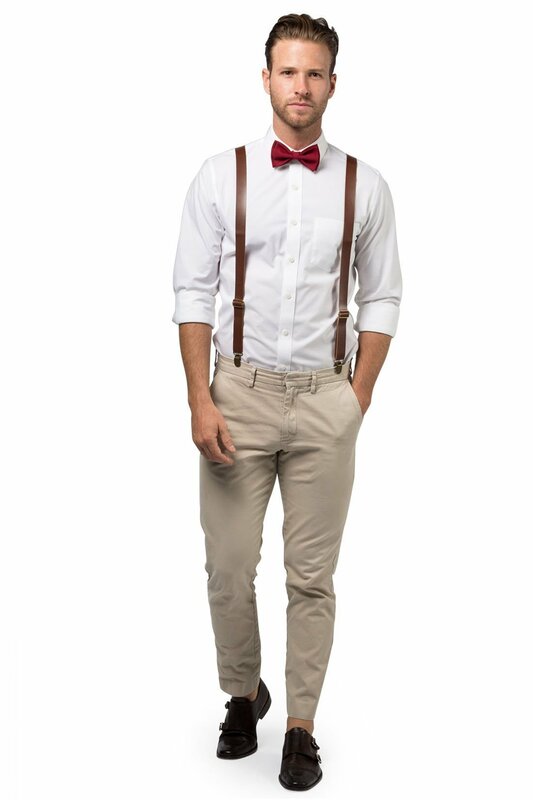 here you have to get your hands on a formal khaki pant and preferably you can go with trousers and then you can get your hands on shoulder straps as they would make you look much cooler and you can wear the classic white shirt and also add a small red bow that’s it. Combine the entire look with the black formal shoes and you are good to go for any occasion. This look proves to be perfect for teenagers and youngsters as well and this look can be carried out to any occasion and proves to be a good choice for both day as well as night time. 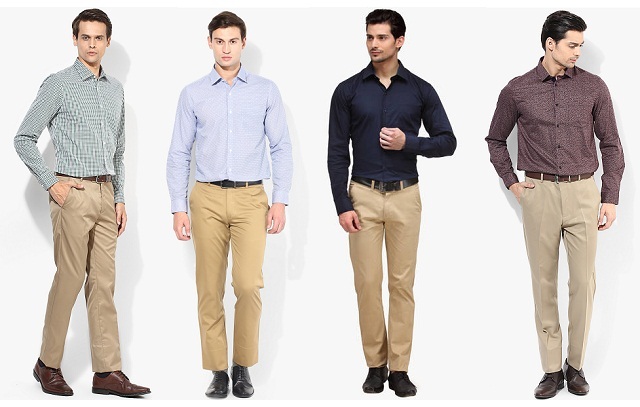 Here you would have to get your hand on casual khaki pant which needs to be narrow at the bottom line and you can wear any casual shirt along with it. Complete the look with black and white combination sneakers as they look the best in this look. Here you can have the sole as well as lace of the sneaker colored in white and the rest of the shoe would be in black color. It is really important to be ready for any occasion and this look would prove to be best for those days when you have a party just after your office and with some changes you can actually turn the complete professional look into a casual party look. Here you would have to get your hands on a professional trouser which you can fold from the bottom to form a casual khaki pant and leave the coat behind and wear your all black lace sneakers and you are good to go. You cannot experiment a lot with the everyday look of yours and if you are an employee of a corporate office this look would prove to be best for you and with no such experiments this look turns out to be very appealing. 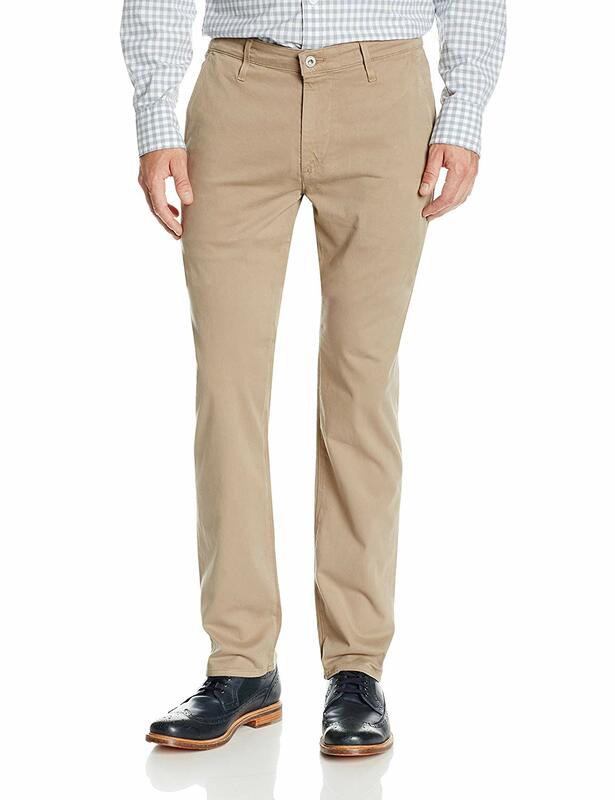 Here you would just have to wear a slim body fit khaki pant probably of light beige color and combine it with a white or any light colored shirt and complete the look with classic black boots and you would look the best in the office for sure. This look seems to be perfect for the wedding season and if you would dress up like this then it is for sure that you would look elegant as well as good looking at the same time. 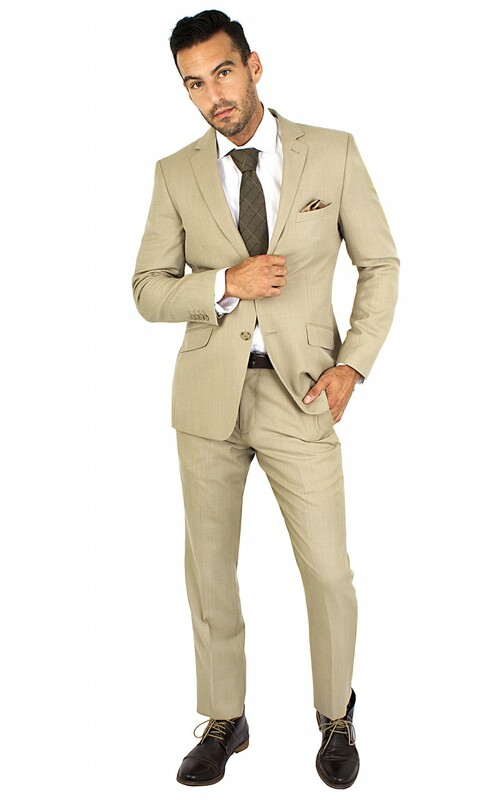 here you would have to get a combination of beige khaki pant and coat and you can wear a white shirt along with it and a brown tie would make you look formal and you can complete the look with wearing a pair of shiny black boots with slight heel and you can keep a folded hanky of brown color in the coat pocket which would give the look a party makeover. This look would go perfectly when you are going out for a meetup or you can even carry this look out for small parties and moreover this look proves to be stunning for the day time. Here you would see that the whole look has been kept casual and so nothing much has been done to create this look. 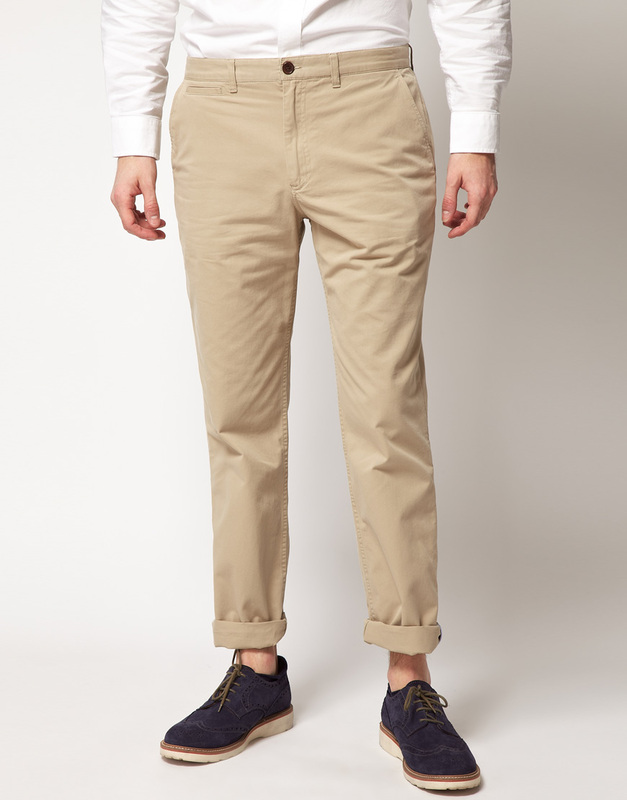 Here you have to get your hands on narrow khaki pants which would be slightly above the ankle length and then you just have to wear a casual black shoe probably sneakers without lace would look the best here and you can have white colored sole here. If you are style conscious and always want to look trendy then this look would prove to be perfect for you as 2019 would have this trend on and also the look proves to be best for youngsters and also teenagers can wear this out. This look can be worn in almost all occasions and can also be carried out to a party or even in college. 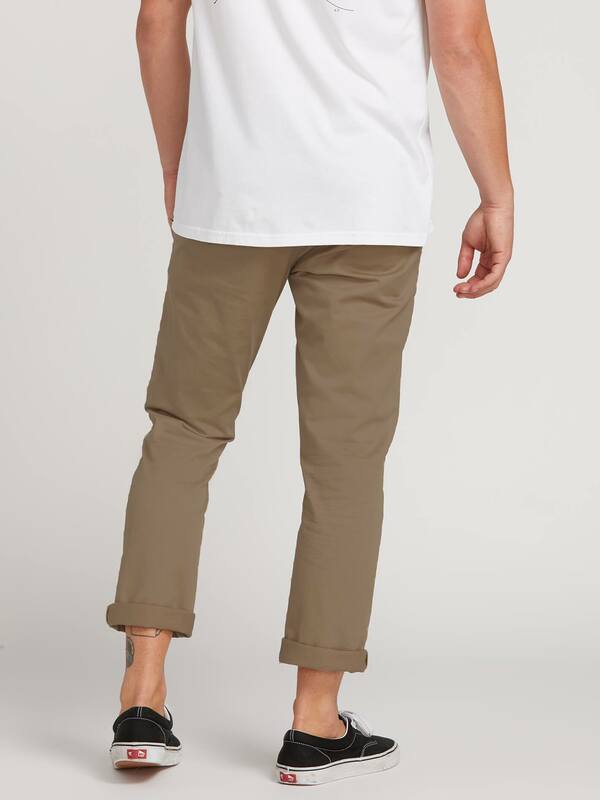 Here you would have to get your hands on stretchy cotton skinny khaki pants which would have a grip on the ankle and you would have to pair it up with a casual pair of sneakers colored in black with a white sole and going with a without lace sneaker would be a good idea. 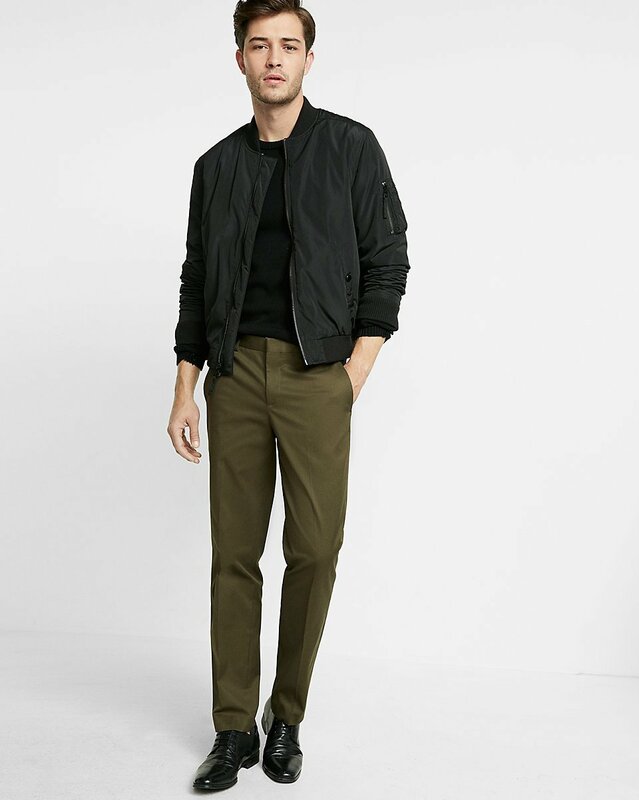 These were few of the best khaki pants and black shoe combinations that you need to check out rather consider trying them out and also you can find more at Fashionterest.